← Community vs. content? Or just as important? 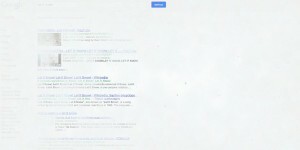 Google tricks and pranks are well-known and sought-after. Now that is almost Christmas time and Santa is coming (to town), all we need is snowflakes falling! 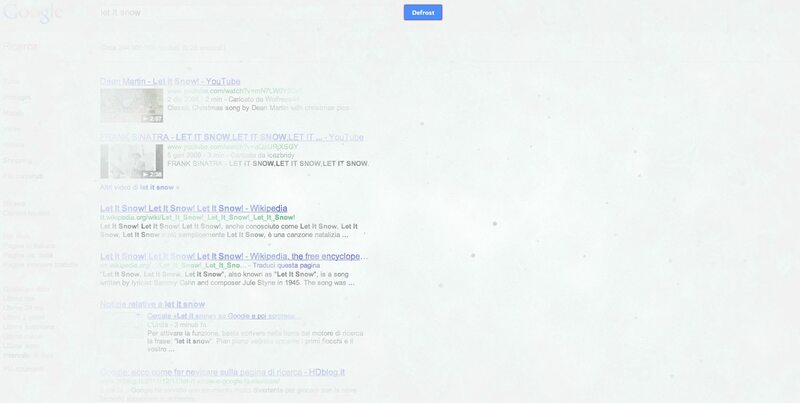 Fire up Google, type Let it snow and… snowflakes falling all around! After a while your screen will be completely white and you’ll need the handy (centered on the screen) Defrost button which will restore your screen to a clear vision! This entry was posted in Fun, Gadget, Google, Google Chrome, Google Doodle and tagged Google, Google fun, Google pranks, Google trick, Pranks. Bookmark the permalink.